At its best, evaluation can help a nonprofit make sense of what they do and how they do it. It can provide an opportunity to engage with all stakeholders, acknowledge failures and successes, and learn from them. Ultimately, good evaluation work can help a nonprofit advance its mission. Many times evaluation doesn’t always deliver on this promise. In large part this is due to whether the relationship between nonprofits and their funders and other stakeholders is one that prioritizes learning and includes reciprocal respect. Talking with one another about the purpose of evaluation and the problems that get in the way of fulfilling that purpose is a good place to start. A lot of evaluations involve more than one stakeholder group (like funders and grantees, board and staff, evaluators, etc.). When two or more of these groups get together to talk about evaluation, they often spend more time talking about the technical process and less time on why they want to do evaluation and what they hope they will learn. 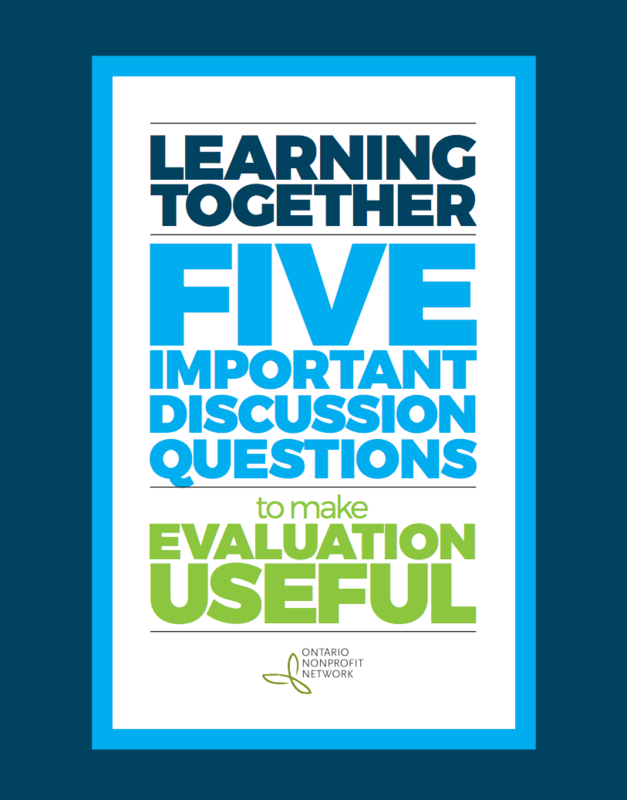 If you are meeting with another stakeholder group that sees evaluation a bit differently that you do, this guide may be a good way to learn more about each other’s perspective and identify ways to make the evaluation less frustrating and more useful for everyone. Here are five questions that you can ask when talking with funders and other stakeholders to help you engage in a discussion about simple ways to make evaluation more useful. These questions emerge out of extensive research and consultation on what makes evaluation useful. They can be used together or individually. They can be used in a formal meeting about evaluation or in the course of another kind of discussion. They can be asked by nonprofits, by funders, or by evaluators and they can be answered by each of these groups as well. What are we really trying to learn? How will this learning lead to action? How can we help each other learn? Is evaluation the right approach? If so,what kind?